If you sell the gold, you can afford the Christmas Frankincense and Mir seems to be the message here. 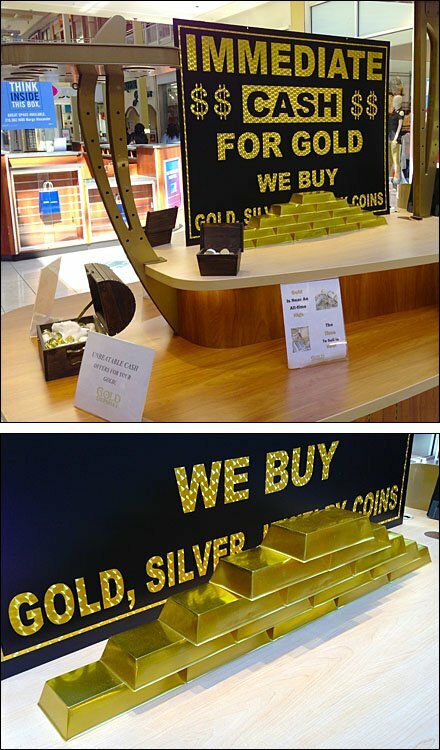 Foil signage and 3D gold bar point-of-purchase dimensionals reinforce the pitch. The gold bars were very realistic. I wonder if these were props left over from the Fort Knox scene of the Goldfinger movie? 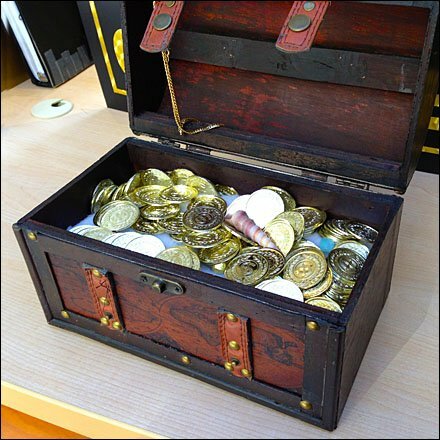 Treasure chests of Gold, or possibly chocolate Dubloons also play a display role. CLICK the thumbnail for a look.